Congratulations to our Client Kess InHouse for their feature in Woman’s Day Magazine! You can curate your bedroom and turn your down comforter, UP! You’re about to dream and wake in color with a fleece duvet cover from Kess InHouse! Crafted at the click of your mouse, the duvet cover is not only personal and inspiring but super soft. Created out of microfiber material that is delectable, Kess InHouseÂ duvets are ultra comfortable and beyond soft. 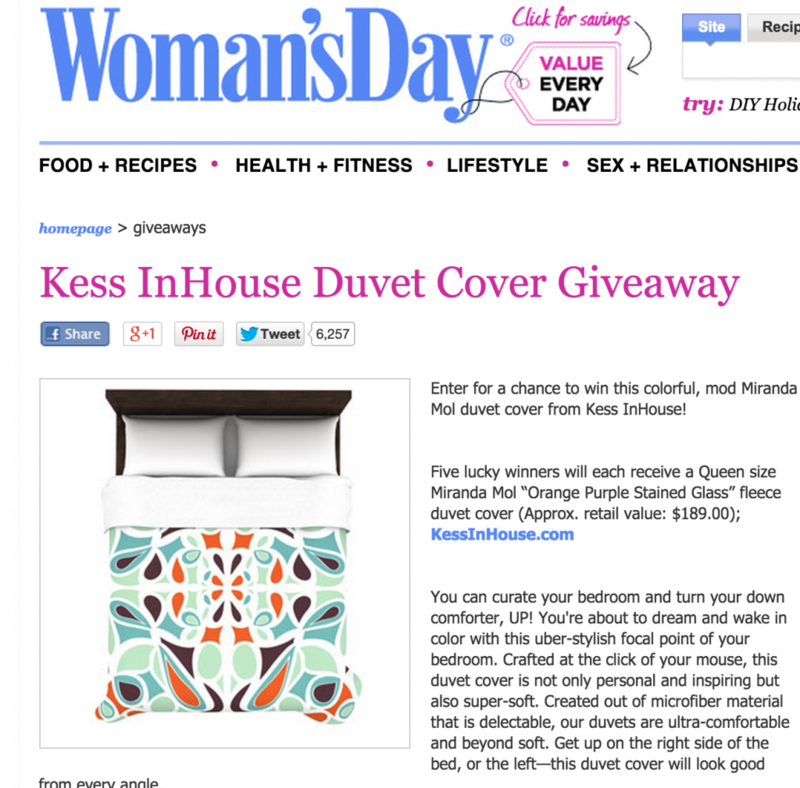 Now you can WIN aÂ mod Miranda Mol duvet cover from Kess InHouse at Woman’s Day! Enter to win here. Check out the beautiful home decor items from duvet covers to wall art at kessinhouse.com!